Join Team Hoyt Oklahoma today! Team Hoyt is looking for Assisted Athletes and Assistant Athletes. Choose the option below and complete the associated form to join our organization. Our Assisted Athletes are the heart of Team Hoyt Oklahoma. They have a need for speed and are ready to race. 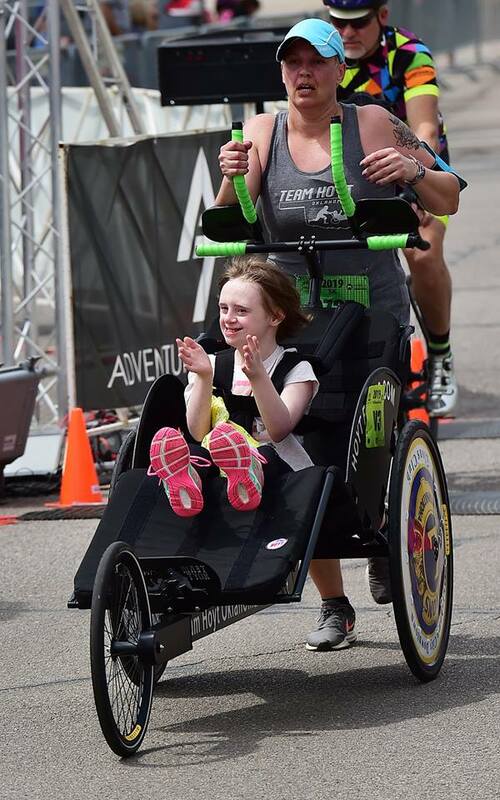 Team Hoyt Oklahoma will provide a specialized running wheelchair to get our athletes across the finish line. There is no fee to be an Assisted Athlete with Team Hoyt Oklahoma. Our Assistant Athletes provide the power and make up the second half of the running team. Our Assistant Athletes will pay a one-time fee of $75 to run with Team Hoyt Oklahoma, which will cover a running shirt and a full background check. We are looking for people who want to run as part of a team over multiple races, and possibly multiple years. Complete the form below to become an Assistant Athlete.